Today,I am going to review Velvet Touch Matt Lipstick Shade# 010,Smoothie by GOSH Cosmetics(Copenhagen) . "GOSH COPENHAGEN is a Danish-based hip and trendy color cosmetics company. Founded in 1945 by Mr. Einer Tjellesen, as a pharmaceutical company, but quickly moved into the cosmetics industry. Our products are sold in over 80 countries and territories. The GOSH COPENHAGEN brand offers a large selection of products from different products categories: Cosmetics, Fragrances, Hair Care, Face Care and Body Care. We also produce Private Labels such as Pudderdåserne, INK by Dennis Knudsen, Isabell Kristensen, and Caroline Fleming. Our head office is in Denmark where all the product development, production and distribution takes place. We see no better way than overseeing all the steps ourselves. This way we ensure that all the products under the brand GOSH Copenhagen correspond with our identity and values. All GOSH COPENHAGEN products are developed on the basis of up-to-the-minute technology and knowledge. The close collaboration with raw material suppliers contributes to ensure the best product quality within the area; and top quality products mean satisfied consumers. We are dedicated to providing our customers fashionable and high quality products at accessible prices. Our vision is to be one of the leading brands in the semi-selective segment. Make Your Impression…! 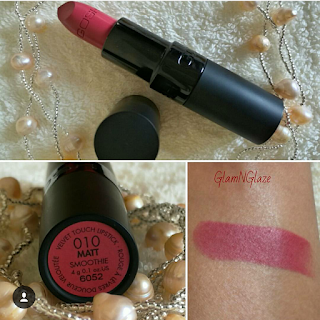 Velvet Touch Lipstick Matt by Gosh delivers long lasting pure colour with a matt finish. 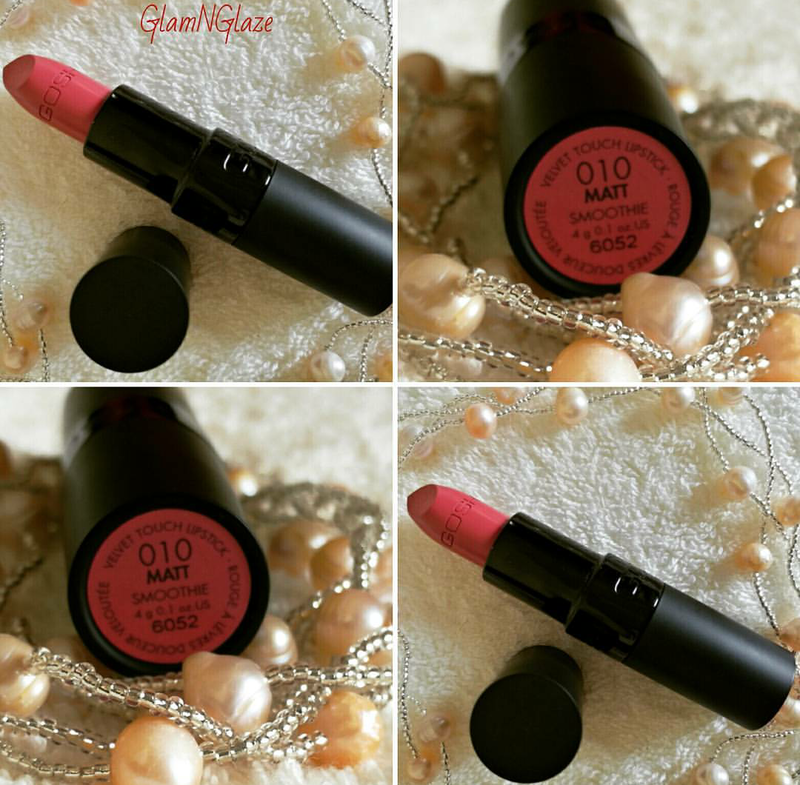 This creamy Lipstick ensures an easy outlined application, delivers an even, and long lasting result with intense, pure matt colour pay-off. Velvet Touch Lipstick is enriched with natural waxes and hyaluronic acid to moisturise, hydrate, smooth and sooth lips as well as to promote a pleasant wearing comfort throughout the day. There are twelve lipstick-shades in the Velvet Touch Matt Lipstick collection. It does not stain the lips and wears-off evenly! I recommend this lipstick as there are nice shades in the Velvet Touch Matt lipstick-collection.Do check out!